Crown City Carpet Cleaning has proudly provided state-of-the-art carpet care for residential homes and commercial businesses in Pasadena, California for over 8 years. Our knowledgeable carpet cleaning specialists can provide your home or business with the best carpet cleaning service available in the area! 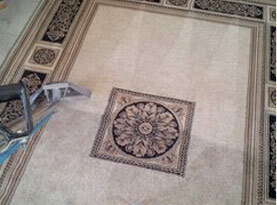 •	A quality carpet care experience that is guaranteed to provide you with a 100% customer satisfaction. There are many reasons that the experts at Crown City Carpet Cleaning can provide you with the best carpet cleaning service available in Pasadena, California. 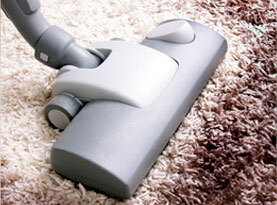 Our carpet cleaning technicians will arrive with quality cleaning equipment including hot water extraction machines. Our highly trained carpet cleaning technicians will use a combination of hot water extraction along with specialized cleaning solutions to guarantee a complete and thorough carpet cleaning experience. Specialized cleaning tools allow our carpet cleaning technicians to gently lift dirt and soil from your carpet without the abrasive brushing used in more traditional cleaning methods. Since over ninety-five percent of the moisture is removed from the carpet, you can expect a quicker dry time allowing you to use your carpets and get back to your daily routine quickly without the worry of leftover soapy residue. You carpet will be clean and free of dirt, dust mites, allergens and other pollutants that can collect in your residential and commercial carpets. At Crown City Carpet Cleaning, our carpet cleaning service is designed to life dirt that is trapped in your carpet to the surface where it can be whisked away resulting in a clean carpet that also has an increased lifespan. Since our carpet cleaning service uses so much less water than traditional carpet cleaning methods, your carpets will dry in a few hours. A Crown City Carpet Cleaning will lower the risk of mold and mildew growth that is often associated with more traditional forms of steam carpet cleaning. At Crown City Carpet Cleaning our carpet care technicians understand that each carpet cleaning assignment is uniquely different. Our experienced carpet cleaning specialists will examine your carpet and make a careful note of any heavily soiled or high-traffic areas. Our knowledgeable carpet cleaning specialists will use hot water extraction cleaning methods to remove dirt and debris that is trapped deep in the carpet fibers. You can be completely assured that your carpets will be clean, sanitized and deodorized for a long lasting clean you can see and feel. 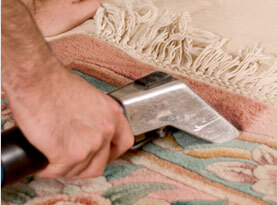 You can trust the professionals at Crown City Carpet Cleaning to help maintain the carpets in your home or business. Contact the experts at Crown City Carpet Cleaning for all of your carpet and upholstery cleaning needs in Pasadena, California and the surrounding areas.